The 2018 Air Jordan Black Cement 3 Retro Sneaker Available at 10 AM EST HERE at Nike, HERE at Shoe Palace, HERE at Kicks USA, HERE at Footaction , HERE at Champs, HERE at FNL, HERE at Villa. 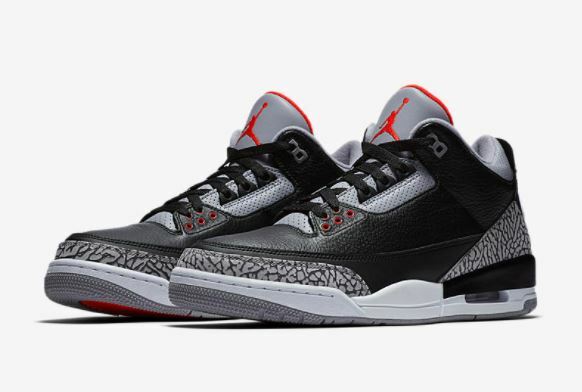 One of the greatest shoes ever, the 2018 Air Jordan Black Cement 3 Retro Sneaker will release on 2/17. This is the shoe. The one MJ wore during his break-out 1988 season, when he earned his first league MVP and took flight from the free-throw line. The one that made "one to rock, one to stock" a thing. The first one you tried to keep clean. 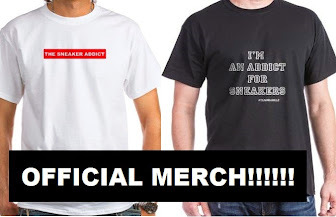 The last one on the list article you read about the 50 Greatest Sneakers of All Time, and the other, and the other, and the other. It's back. This time, in honor of MJ's birthday and the 30-year anniversary of its debut, it keeps the Nike Air branding to reach true OG form.